I have been getting a lot of emails lately that read something like this, "I love all of the ideas I see for classrooms, but we have strict fire codes." 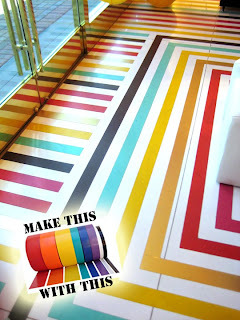 Well, this post is for you...and anyone else who is crafty and likes color. I've brainstormed a few ideas that you may be able to use to make your room fun and inviting without the fire department taking a hose to it. And on a sidenote, I find the whole thing kind of silly. Schools are stocked with books and paper. It doesn't get more flammable than that. But, I digress. 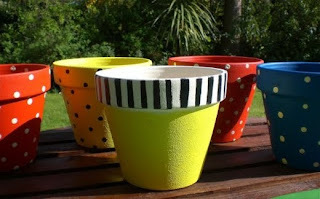 Brightly colored baskets and bins! Spray paint your trashcan. I just repainted mine. Easy peasy! Paint your bulletin boards...ask first, I suppose. Duct Tape: Have you seen Duct Tape lately. Oh the colors! Oh the designs! Use it as borders by taping it onto the boards or around your whiteboard. Plants! 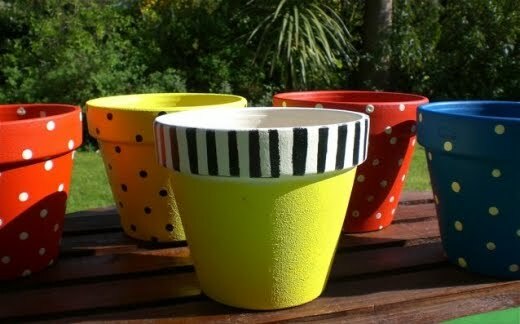 Not only will plants and flowers add color and pizzazz, but how cute would snazzy painted pots be? Oh my, I heart these. 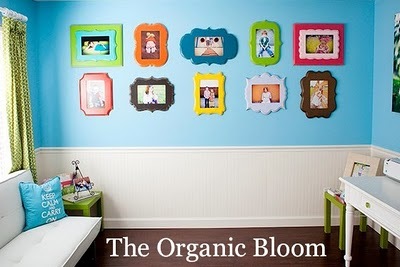 I have some in my twins' room. They stick on. They peel off. They are cheap and easy. Even if you can't wall mount them, how great would it be to have a snazzy frame for each kiddo lining a shelf. Paint them fun colors. The more mismatched the better. Please tell me that they are at least giving those of you in the strict fire code school an upholstered chair of sorts. 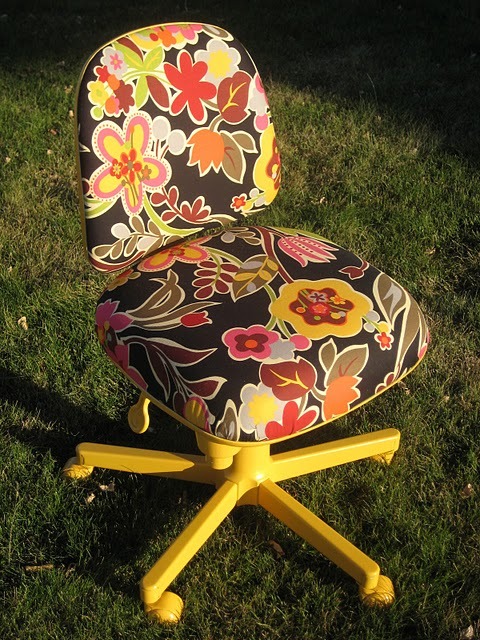 Recover it in super fun fabrics. I can't sew to save my life, but you would be amazed at what you can do with a hot glue gun and a stapler. Oh friends! This one is just way. too. cool. It's a vinyl tablecloth coated in a sealer to make a rug of sorts. Wipes clean and looks amazing. LOVE! LOVE! LOVE! Not into the vinyl tablecloth rug wannabe above? Well, how about vinyl tape put down to create an awesome look all its own? 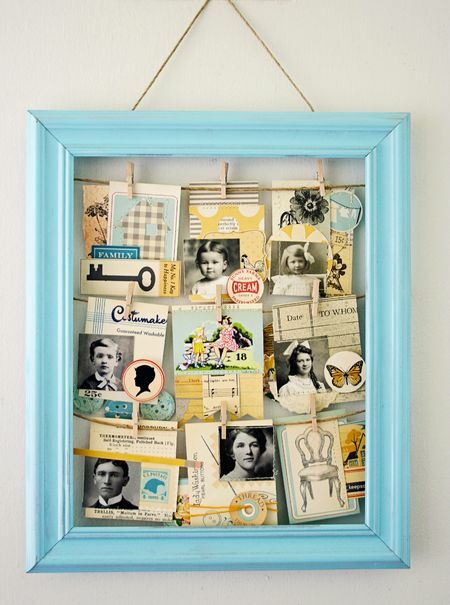 A picture frame with clothesline nailed to the back. 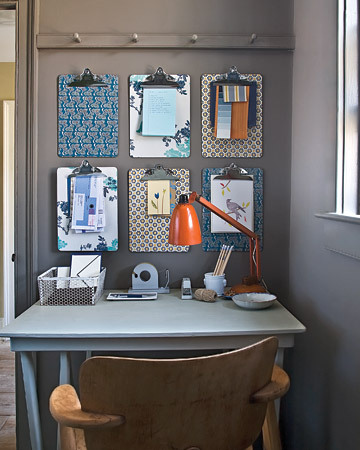 Extremely cute even if you aren't restricted from paper and fabric goodness on your boards. I had posted about using clipboards to display work on my other blog back in the spring when I scored some super cute decorative clipboards that would have been complete crud to use as a clipboard to write on. If you can't find them in cool designs then I suggest you make friends with some scrapbook paper and a jar of Modge Podge. Don't know what Modge Podge is? Google it and prepare to have your life changed for the better. Let's pool together and help our fire code restricted friends out. 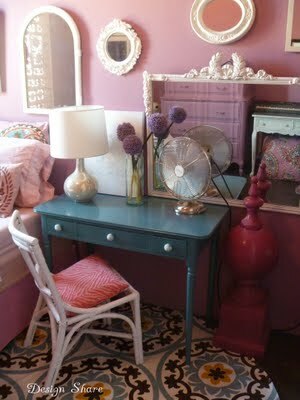 Leave comments with any other ideas you might have for them to make their rooms cute, colorful and all that good stuff. If you are one of those fire code restricted folk...well, first of all I'm sorry...but, feel free to leave a link to photos of your classroom and inspire others in the same situation.